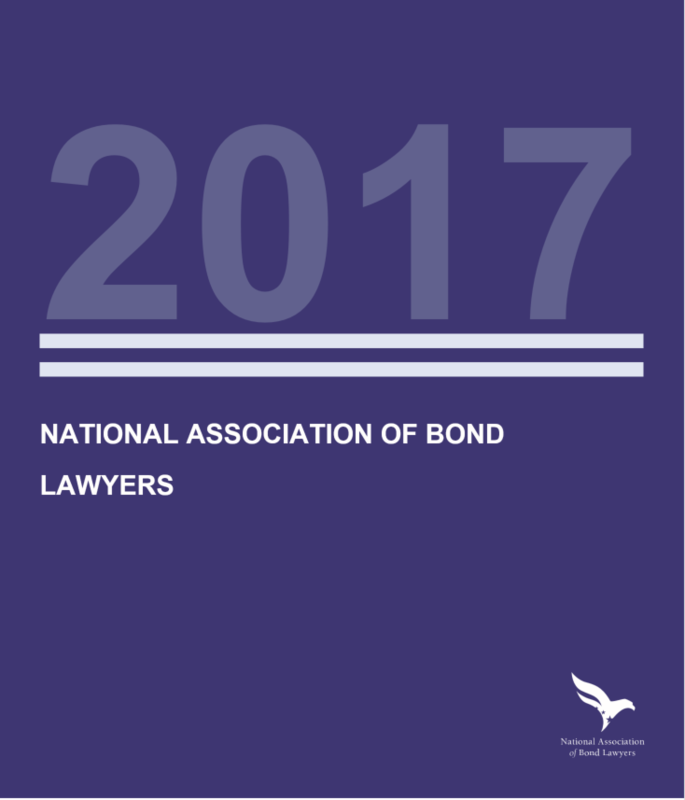 Please take a few minutes to review NABL’s 2018 Annual Report. This report illustrates how NABL promotes the importance and understanding of public finance through advocacy, leadership, education, and research. Some of the report highlights include an executive summary from the 2017-18 President, Alexandra M. MacLennan, a rundown of the 2018 committee projects, a synopsis of the conferences and educational events, and a look at NABL’s future from 2018-2019 President, Dee P. Wisor. NABL is grateful for all of our members, volunteers, and sponsors who support the association’s vision and the continued growth of the public finance industry.